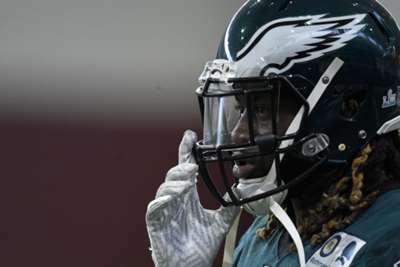 The Philadelphia Eagles have placed Jay Ajayi on injured reserve amid reports he tore his anterior cruciate ligament in their loss to the Minnesota Vikings. Ajayi was injured against the Vikings, as he received just eight carries and rushed for 29 yards, and it is claimed the 25-year-old running back suffered a serious knee setback and is set to miss the rest of 2018. The Briton tallied 184 yards and three touchdowns on 45 carries in four games this season, missing the Eagles' win over the Indianapolis Colts with a back problem. Ajayi was originally selected by the Miami Dolphins in the fifth round of the 2015 draft and he rushed for 1,924 yards and nine touchdowns in 31 games before he was traded to the Eagles in October 2017. He recorded 408 rushing yards with a score in seven regular-season games with Philadelphia in 2017 as the team went on to win the Super Bowl.